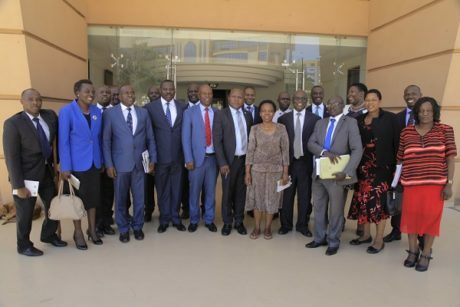 The Ministry has been hailed for their good and exemplary leadership especially when the Parliamentary Committee on Public Service and Local Governments scheduled to meet and discuss issues pertaining to the Budget Framework implementation challenges. 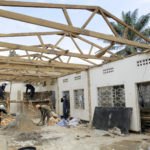 ‘It is not common to find in any one Ministry or Agency where both Ministers and Permanent Secretary or Executive Officer are physically present and attend to us,” he confirmed. The chairperson Godfrey Onzima highlighted to members some of their roles which he said involves the oversight role of the implementation of the ministry plans and does not stop only interacting during the BFP meetings. Onzima also reminded the team about the need to have a picture on the emerging issues and budget gaps in order to again play their role of lobbying for funds especially on projects that support the ministry and related Agencies. 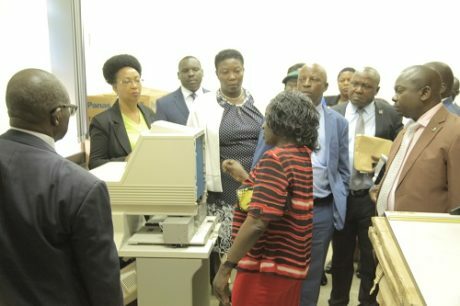 This was during the a joint meeting with the technical staff and leadership of the Ministry and the committee members at the National Records and Archive centre recently. The Minister of Public Service Hon. 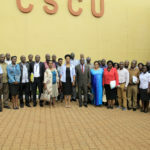 Wilson Muruli Mukasa in response called for frequent interactions with the committee members as an avenue for sorting out emerging issues and implementation challenges. 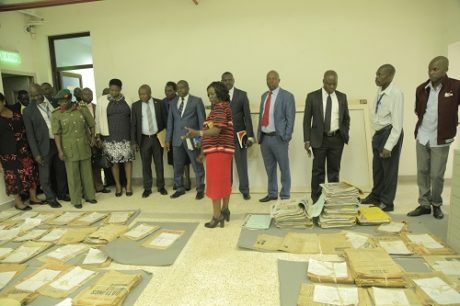 Mukasa emphasized the need for provision of necessary equipment and furniture to make sure the NARC is Operationalised and acquisition of resources to train specialized personnel to manage the centre. 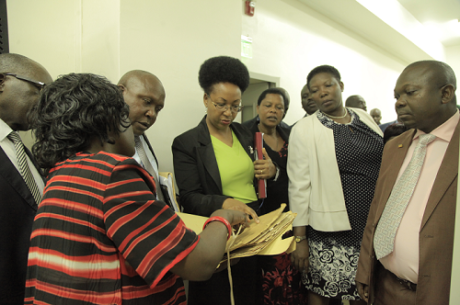 The centre attracts both international and local researchers who are charged for the services as revenue to government He also informed team that the NARC capacity is being under utilized in terms of coverage of records keeping , it is meant to cover 55km of records but as of now only 5.3kms are utilized due to inadequate equipment and no electronic to manage on-line resources that attract more researchers than the present numbers. The team recommended to the ministry to pursue the establishment of the NARC Agency which will ease the implementation of the strategic plan through their Board as the Act 2001 clearly stipulates.